Marking a crucial turning point in Caravaggio's life and artistic development, the Crucifixion of Saint Andrew exemplifies the artist's famous tenebristic style, developed during his rise to fame in Rome, and simultaneously signals a new, grittier realism in his work. Inspired both by a Spanish patron and by the urban topography of Naples, a city three times the size of Rome in Caravaggio's day, the Crucifixion of Saint Andrew became a mobile portent of Caravaggio's stylistic revolution when the viceroy brought it with him to Valladolid in 1610. 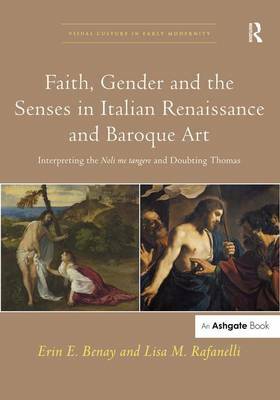 Recounting the complex history of this masterwork and its understudied position in Caravaggio's oeuvre, this book reveals the ways in which the Crucifixion of Saint Andrew functioned first as a devotional aid and subsequently as a harbinger of Caravaggism abroad. Buy Exporting Caravaggio by Professor Erin E. Benay from Australia's Online Independent Bookstore, Boomerang Books. Erin E. Benay is Climo Junior Professor of Renaissance and Baroque Art, Department of Art History, Case Western Reserve University, Ohio.